Maleek Berry is making his mark in the music industry in both the UK and Africa with his constant bangers. Mr Berry recently dropped ‘Love You’ featuring Wizkid, the follow-up track to ‘The Matter’ and has now unveiled his latest piece of work ‘New Bounce’ with guest appearances from Wizkid and rapper Phenom. 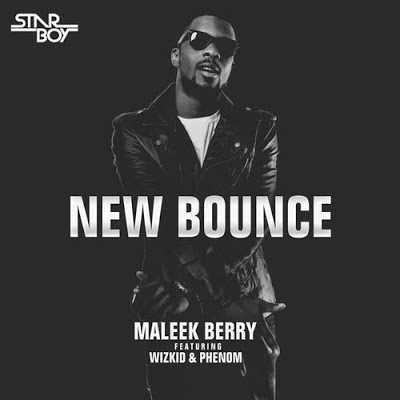 Wizkid is on the hook with catchy lyrics and Phenom drops a few bars to complete it. Maleek Berry has also debuted his online web series ‘Berry's Room’ with the first episode. This new web series just gives us a little more insight into what Maleek Berry's day-to-day life is like, find out a bit more about the fast rising producer and what he likes to get up to when he's not producing music below!